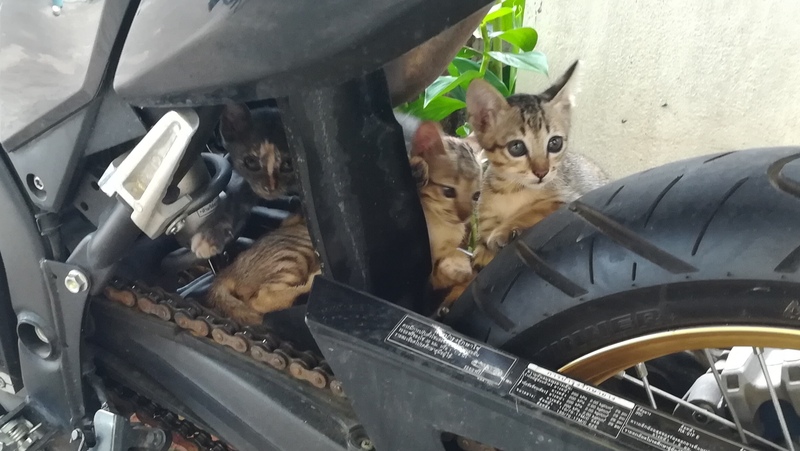 How many kittens can you see in this photo? The spooky one is Ghostface Kitteh. The tabbies are RZA and GZA. Method Meow not pictured… Wutang forever. Four beautiful survivors? Cool! Wutang forever indeed!